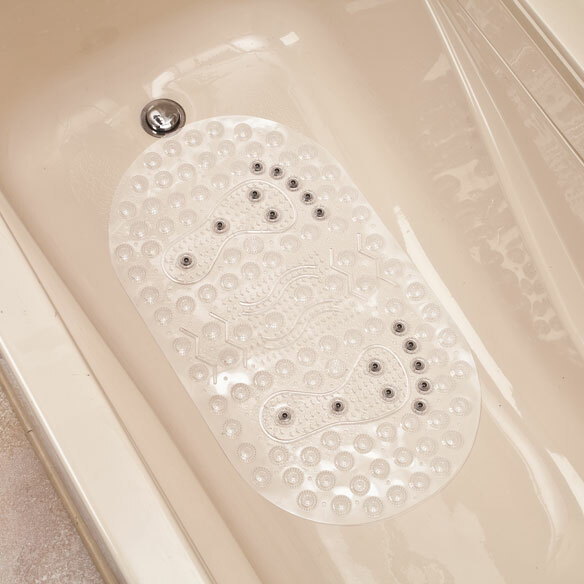 Anti-microbial magnetic bath mat helps soothe away stress as it adds a layer of anti-microbial protection. 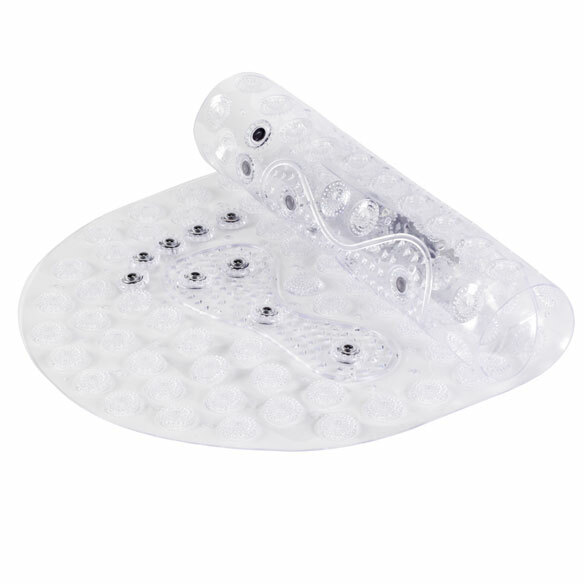 Step onto the acupressure/reflexology diagrams and relax as the grooves massage pressure points on your feet. Built-in magnets are designed to help promote blood circulation and energy flow. 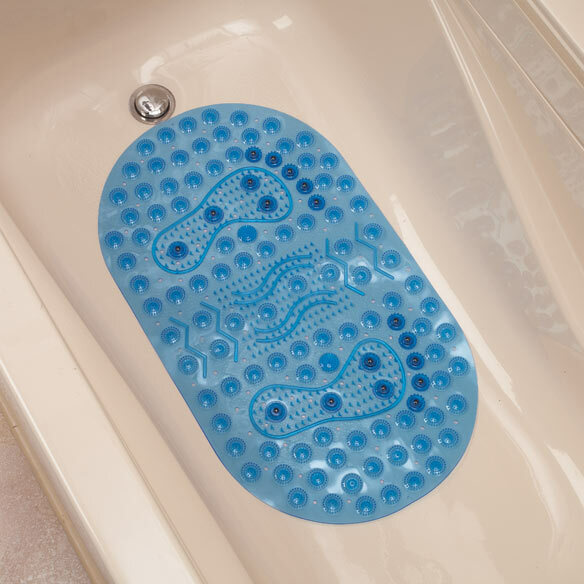 With more than 90 suction cups on the bottom, this tub mat stays in place for non-slip, non-trip confidence in the shower, with drainage holes to prevent pooling. Shower mat measures 27 1/4"L x 15 1/2"W. Durable PVC with magnets. Hand wash. Imported. Love the way it fels on my feet and it's easy to clean. I would like to try this. Looks like it would clean easy. how do I Hand wash this product? BEST ANSWER: Thank you for your question. It would be hand wash with warm water and soap. We hope this information will be of help to you.